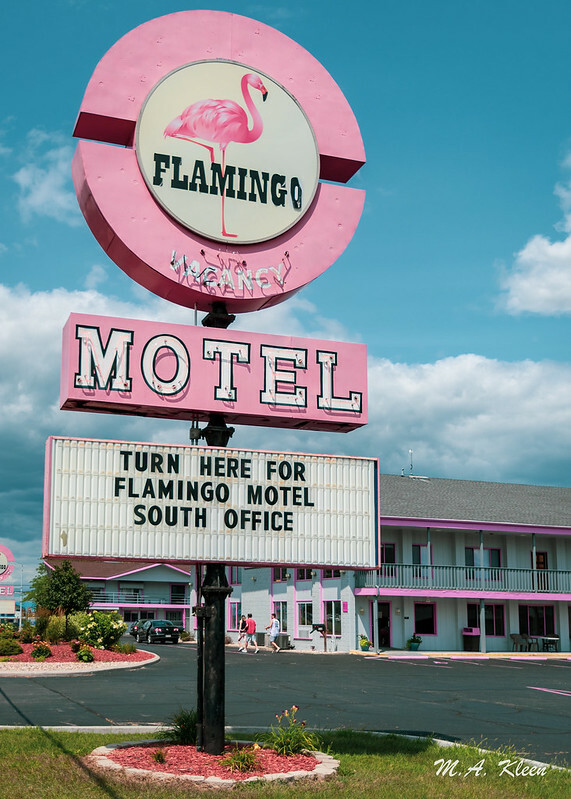 Can’t-miss vintage sign for the Flamingo Motel and Suites, 910 Wisconsin Dells Pkwy S. (U.S. Route 12), Wisconsin Dells, Wisconsin. Wisconsin Dells has been a family vacation destination since the nineteenth century. Many motor inns adopted a “populuxe” style to appeal to travelers on a budget, promising comfortable accommodations at an affordable price.